I certainly am a girl who loves her potatoes! Every way they come! They are amazingly versatile and you can make so many things out of a humble potato! I love the simple jacket potato, wrapped in foil and then thrown in the barbeque. 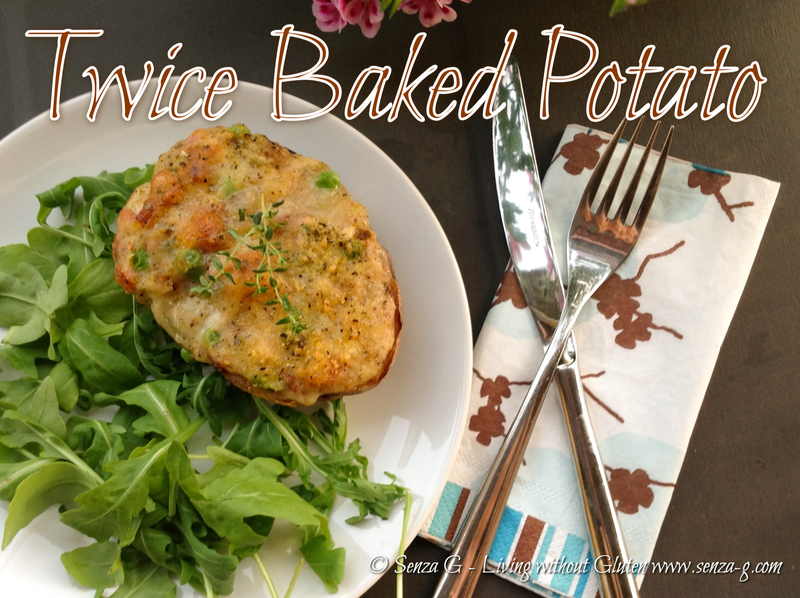 But this recipe is taking the simple baked potato to a higher level! 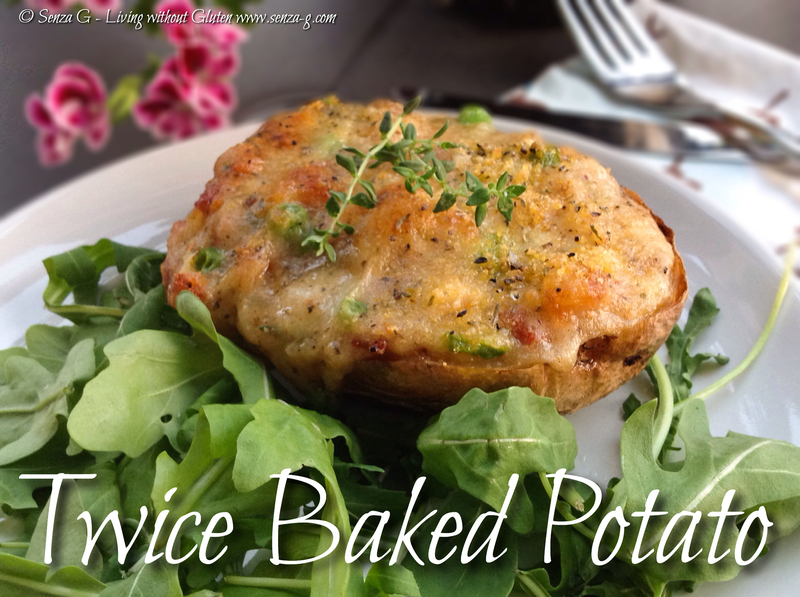 I had leftover baked potatoes from the bbq but you can make this recipe from scratch by first baking them in the oven or even in the microwave. They make lovely BBQ fare as a side dish, but are equally pleasing as a meal on their own! Grill the diced pancetta until crispy. Set aside. Slice the baked potatoes in half lengthwise. Using a teaspoon, scoop out the flesh leaving a border all around. Put the flesh in a bowl, mash with a fork, adding the Stracchino and a little milk if necessary and keep mashing till mixture is smooth. Stir in the other cheeses, the diced spring onion, the snipped chives, chilli flakes if using, the crispy pancetta and the frozen peas. Season with salt & freshly ground pepper. Spoon the filling back into the potato skins and sprinkle the top with extra shredded Cheddar. Bake for about 15 to 20 minutes until the tops turn golden.